A stretch of West 111th Street in the Roseland neighborhood is named "Derrion Albert Way." 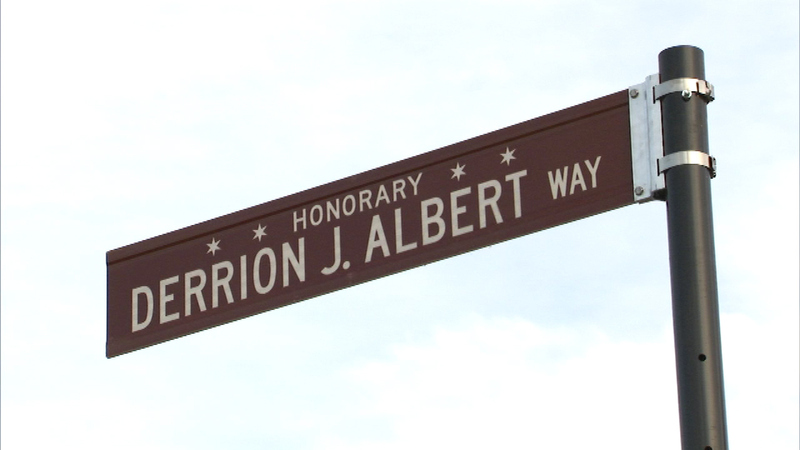 CHICAGO (WLS) -- A Far South Side street has a new name which honors teenager Derrion Albert, who was murdered in 2009. The stretch of West 111th Street from South Normal Avenue to South Wentworth Avenue in the Roseland neighborhood is now known as "Derrion Albert Way." Derrion, 16, was an honor student at Fenger High School when he was beaten to death outside of his school.